Clean & colorful condo! Our condo is updated on an annual basis to keep it fresh and clean. That includes paint, linens and more! Located in the prestigious BeachClub Resort, our condominium is a charming, fully equipped unit overlooking the Gulf of Mexico. Unit #802 in the Catalina Tower has a spacious living room with a nine foot sliding glass door on a wall of windows accessing the private balcony overlooking the pools, boardwalk, and most importantly - the beach! Decorated in tropical decor, the condo is perfect for either a couple or a family with children. Beds include a queen in the master, crew bunks in the hall with folding doors for privacy, and even a queen-size sleeper sofa in the living room. Because this is our only vacation property, we have treated the unit like our home so our guests can feel right at home, too. The BeachClub is simply the finest, most luxurious resort in Gulf Shores. The resort includes a complete European spa, fitness center, sauna, steam room, salon, fine-dining restaurant and bar, cafe, gift shop/grocery, indoor heated pool, five outdoor pools, five hot tubs, world-class tennis courts, basketball court, shuffleboard, horseshoes, playground, kid day camp, dive-in movies by the pool, market/grocery store, gift shop, and even a ice cream/soda fountain. Experience the ultimate luxury vacation in a unit that is affordable. Remember, the resort amenities and the beautiful beach are the same for all vacationers regardless of the size of the condo. So, if one bedroom is all you need, this is your place at a great price! Thanks for considering our unit! 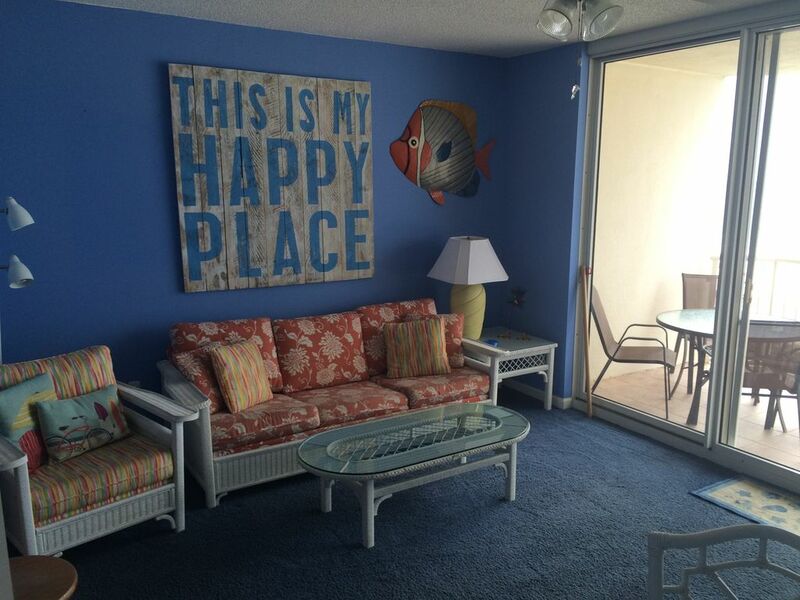 Our names are Dan & Stacy, and we live in Louisville, KY. We are the original owners of this condo at the Beach Club, and it is the only unit that we own. We consider it our home away from home so our guests can feel at home too. We have watched our children grow and have so many fond memories of time shared as a family at the Beach Club. We hate when we have to leave and always look forward to our next trip. If you have any particular questions, call my at five zero two - five five two - two eight seven zero. Thanks! We bought this property as an investment when the Beach Club was just a vision. In reality, the property has become so much more than just an investment - it has truly become our home away from home. It continues to provide our family with memories of love and happiness. We are confident that it can do the same for you too! If you have any particular questions, call my cell at five zero two - five five two - two eight seven zero. Thanks! The BeachClub is simply the finest, most luxurious resort in Gulf Shores. The resort includes a complete European spa, fitness center, sauna, steam room, salon, fine-dining restaurant and bar, cafe, gift shop/grocery, indoor heated pool, five outdoor pools, five hot tubs, world-class tennis courts, basketball court, shuffleboard, horseshoes, playground, kid day camp, dive-in movies by the pool, market/grocery store, gift shop, and even a ice cream/soda fountain. You can experience the ultimate luxury vacation in a unit that is affordable. Remember, the resort amenities and the beautiful beach are the same for all vacationers regardless of the size of the condo. So, if one bedroom is all you need, this is your place at a great price! If you have any particular questions, call my cell at five zero two - five five two - two eight seven zero. Thanks! Lots of channels including sports & movie channels. Perfect view of the beach from the 8th floor unit. Miles of bike paths and bike lanes are located in the vicinity of Gulf Shores. Hot tubs are located adjacent to the each of the pools in front of each of the 4 towers. There is another hot tub in front of the Beach Club Clubhouse (5 total). We just got back from the Beach Club Resort and rented this unit in the Catalina tower. We loved the location and the condo was comfortable for our family. The view from the balcony was amazing and I was able to keep an eye on my son when he was at the Catalina pool and beach club pool. The beach is very nice, white sand and right onsite you can go parasailing, ride on the banana boat and 10min down the road the marina has rental boat or charter noat for fishing trip. The stores are within 20 min by car. We had a fantastic time. Our family enjoyed our stay immensely. The condo may be a 1BR - but with the bunk beds it is easily suitable for a family of four. Our 5 YO daughter loved the bunk beds! The view is just like in the photos - spectacular. The beach and pools are fabulous! We had one mishap with the shower when we got there - but the owner had it fixed the next day. It may seem a long way from Gulf Shores - it's really just 15 minutes - out to Fort Morgan - but you will appreciate not being in the crowds all the time. Only thing I would advise on - and this has nothing to do with the condo - is whether or not you actually joint the beach club while you are there. We did ($20 per day) but we only ended up using the big pool (which it seemed like everyone was doing whether they joined or not) so think that through. Anyway - all and all - it was very relaxing and a great condo with an attentive owner. We're looking forward to next year already!! I have been coming to this unit with my family for years. I highly recommend the place and the owner is great to work with. The white sand beach and multitude of pools and amenities makes it a perfect spot for a family vacation. There is $200 damage deposit required in the form of a personal check. I do not cash this check. I simply hold it and return the uncashed check to you after your departure date provided no damage to the unit.